A roofing system is a big investment. As you’ll be spending a considerable amount on such an essential part of your home, you want to make sure it’s done perfectly the first time. Your roof’s performance and life span depend primarily on two major factors: your choice of roofing materials, and the skills of the contractor installing it. In this two-part post, our specialists from Howard Roofing and Home Improvements will walk you through how to get the most out of your roofing installation. Avoiding problems is just as important as spotting them early and that’s why we’ll begin by discussing installation red flags that might jeopardize your roof. The most common problem made by amateur roofers in their installation is nailing down brand new shingles right on top of the old ones. Shingles are meant to be installed on a flat surface. Putting in new shingles without removing the old roof can damage the new material, cause eventual leaks, and increase the weight load on your support beams. Moreover, placing new shingles over old ones is actually prohibited by law in some areas. 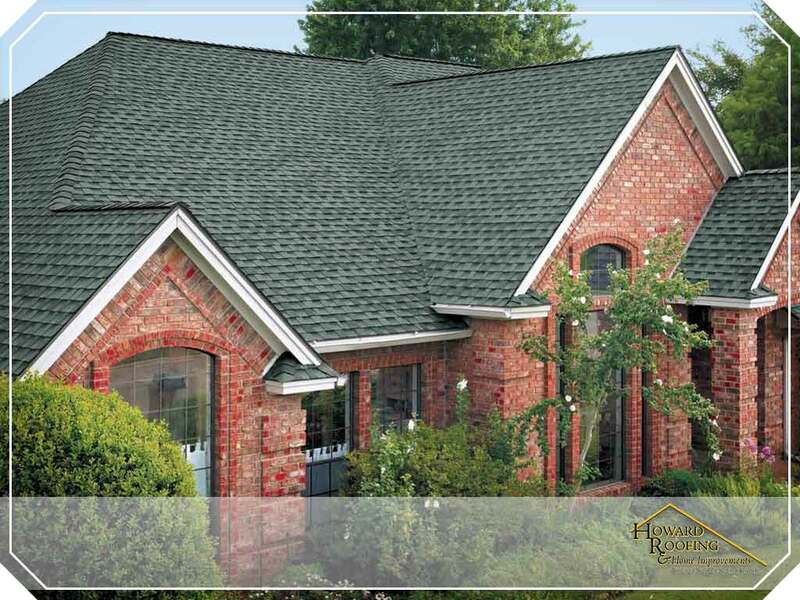 Asphalt shingles are manufactured in batches and any decent roofing contractor knows that it’s important to consistently use only one manufacturer for a roof installation. Mismatched shingles may not fit as well as shingles from the same batch and maker, leading to improper placement and, eventually, early damage and leaks. It’s important to ask your contractor about the sets they’re using, and that they are all consistently purchased from one supplier. Doing all the due diligence before any construction project should be a number one priority for both homeowner and roofing company. It’s typically the contractor’s responsibility to handle all the permits needed to begin construction. However, it’s the homeowner that usually suffers when this essential step is skipped. Continuing an installation without a permit could result in fines from your local community, denial of insurance, or worse, forced removal of the new roof. With over 50 years of experience in the industry, Howard Roofing and Home Improvements can help you get a roof installation without worrying about the rookie mistakes discussed in this post. Call us at (636) 333-1690 or use our online contact form to schedule an appointment today. We serve St. Louis, MO, and other areas.